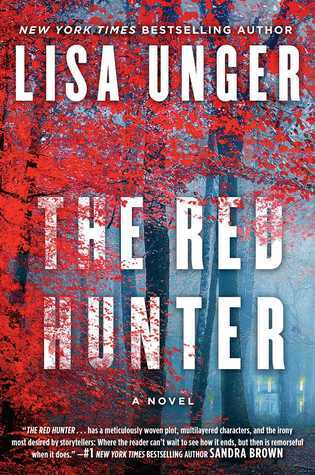 My thoughts: I am a big fan of Lisa Unger's books - I have read just about all of her published books already, and those I haven't I have on my to-be-read list! Her thrillers keep you on the edge of your seat and she creates the most complex, compelling characters that just get under your skin. I loved the way this story was told - it's so intricately plotted, connecting two seemingly unconnected women together by one object - a house. But these two women are also connected by something else - they have both survived the unthinkable, an attack on their lives. The difference is how they decide to move on from this attack. I loved how the different threads of this story were woven together. This book moves fast, but not so fast as to gloss over anything. Everything is given it's due course. And everything is flushed out. We learn about the attacks on both women in due time, though, that all happened prior to the start of the book. We also learn about the importance of the house - again, not all in one fell swoop, but slowly, bit by bit, we find out why the house is so important. I loved all the moving pieces to this book - and believe me, there are a lot! While there are primarily the two narrators, we do meet quite a lot of characters and I felt that they were all pretty well developed. At times, there is a jump from the present to the past, sometimes without much notice, but once you realize that particular plotline only occurs in the past, you are ready the next time it happens. This book definitely kept me on my toes - between the secrets and the engaging characters, I was desperately trying to keep up and try to put everything together before the final reveal. While I did guess some of it, I wasn't able to put all the pieces together...this layered book really surprised me! 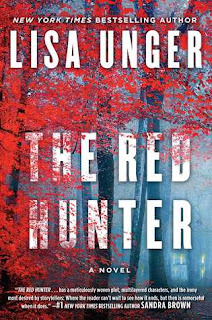 Lisa Unger is definitely a go-to author for me and I always look forward to when she has a new book out. This latest book certainly did not disappoint - and whether it is her series or her stand-alones, this author can do no wrong!!! 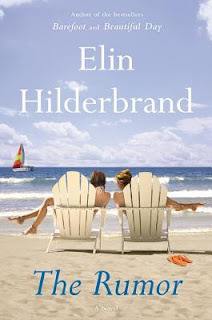 My thoughts: I so enjoy Elin Hilderbrand's books - they are just the perfect reads for escaping the every-day craziness of life and they are set on one of my favorite places - a place I hope to one day get to - Nantucket! It just seems like the most perfect place to be. This was such a fun book, filled with great characters. It takes a look at how rumors start and the negative impact on them. In a small town, rumors can has disastrous consequences, as Elin points out, though in a light, humorous way. Often times, these rumors take on a life of their own. I loved the way she had the townspeople telling the rumor - and how by the end of the story - not only did they not have the facts straight, but they couldn't even tell you where they had originally heard the information from. How many times in our lives has this happened to us, where we hear something, but do not know the exact source? This book is filled with more than just rumors. It's also about loyalty, family, parenting, and of course secrets. Elin has a way of dealing with all these topics in a light, fun way that keeps your interest. She spins a tale that hooks you from the start and draws you in, with engaging characters and witty banter. One of my favorite things about this book is that I could see bits of Elin herself in it! I know she writes all her novels out long-hand on legal pads and so I could only chuckle when I read that that was how Madeline was writing her novel. Perfect for fans of Kate Morton and Sarah Jio, comes a lush imaginative novel that takes readers into the heart of a mysterious English country garden, waiting to spring to life. My thoughts: This is Ellen Herrick's second book in her Sparrow Sisters' series and I really enjoyed it. In the first book, The Sparrow Sisters, we are introduced to the three Sisters and their unique gifts. This book is primarily Sorrel's story. She is the gardener of the sisters, having a rare gift to nurture and care for all types of plants and flowers. 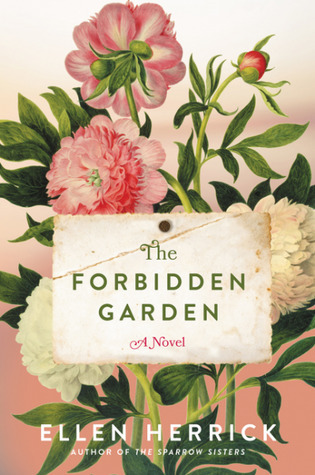 When she is asked to help restore a Shakespearean garden in England, it comes at just the right time in her life - she's still getting over the sorrow's of her past but this distraction might be just what she needs. The family that she ends up working for is not without their own secrets. This keeps the story moving - there are rumors of a family curse that could be what is causing the garden to go into ruins. Could this really be the case? Between the engaging characters and the lush descriptions with just the hint of magic, this story will entertain and even tug at your heartstrings. There is even a bit of history woven in that adds a layer of dimension to the story. The romance is just right between Sorrel and Andrew and the little bit that we see of the other sisters is great, though I wish they had more of a presence in this book. I am looking forward to the next book in this series and what I can only assume will be Nettie's story. Ellen Herrick is a wonderful writer and has given us an enchanting series that is reminiscent of Sarah Addison Allen and Kate Morton. I am a big fan and will be patiently waiting for that next book! My thoughts: I just love Lisa Jewell's books. They are so engrossing and filled with the most wonderfully drawn and complex characters that you can't get enough of. This one had such a great mystery to it - it was slow and drawn-out, but kept you captivated as it was laid out and had you guessing as to which way it would go. I loved the way this story was told. There are multiple points of view and yet it never gets confusing. It's almost as if there are three different stories going on - and as the book progresses you are wondering if and when they are going to intersect. What is it that could possibly be the common thread to tie these stories together? There isn't a lot of action in this book, rather it is a deep and moving character-study of all the players we meet. 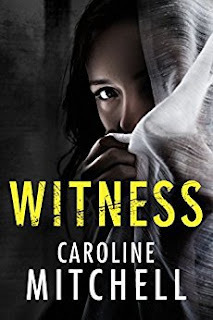 Yes, some rather major incidents do occur and these events do propel the story, but still, it is the characters themselves that drive the book. And as the events and the secrets become untangled, the book takes you in directions you never thought possible. This book kept me engrossed and engaged the whole way through. It's an emotional read, that builds with suspense and a sense of dread, too. You know something bad has happened, but you just don't know what or how and until you get there and it's all laid out, it's like waiting with baited breath. And even once you do - your heart is still beating a mile a minute! I still haven't stopped thinking of this book and it's characters - it's that good! Lisa Jewell is definitely a go-to author for me - I've enjoyed every book I've picked up by her and cannot wait until her next one. I do have a few of her back-list books sitting on my shelf that I need to read soon and certainly will. Do you have a favorite of hers? My thoughts: Kristy Woodson Harvey is one of my favorite southern authors and this is the first book in her first-ever series! 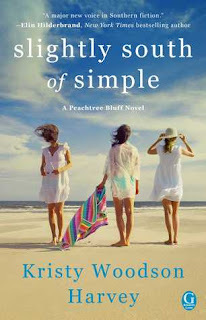 I adored her previous two books, Dear Carolina and Lies and Other Acts of Love, which were both stand-alones, so when I heard she was writing a series, I was psyched! I love the characters she creates and the voice she gives to them and love that we get to stay with them for more than one book!!! This first entry into the Peachtree Bluff series is off to a great start. I loved getting to know Ansley and her daughters and loved how the story was told. While we do get to meet all three girls and Ansley, Kristy has decided to tell the story from Ansley and older daughter Caroline's perspectives, having the chapters alternate back and forth. I loved this! This story is filled with emotion and the bonds that exist between mothers and daughters, and that of sisters. It appears that Ansley and all three of her daughters are all at crossroads in their lives and while they all had been living separately, each of the daughters decide to come home to Peachtree Bluff at the same time. Of course, they don't come right out with what is really going on - that will take some digging and that is where the secrets come into play! And we all know that the secrets is what really drives a good book! Even though the story is told from Ansley and Caroline's view points, we do learn quite a bit about the other two sisters, Sloan and Emerson. And each is not without their own story and secrets. Having two sisters myself, I loved seeing the three girls in action - both when they were younger through flashbacks, and in the present. I loved the bond between them - through good and bad and could definitely relate! This book is so fun to read. It's filled with humorous situations as well as poignant ones, love and loss, happiness and sadness. The characters are so richly developed it felt like they had become real people to me and I cannot wait to read the next book in this series - I have a guess as to who it might focus on and how it might be told, but I can only surmise and will find out only when I have my hands on that book! The Secret to Southern Charm - due out ??? 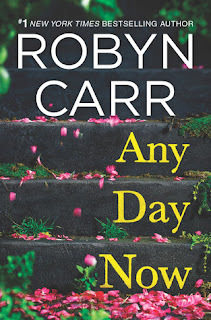 My thoughts: This is the second book in Robyn Carr's Sullivan's Crossing series and I really enjoyed it. 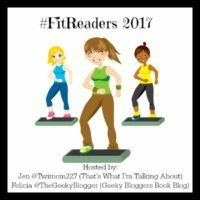 The first book, What We Find, was great, setting up the series and introducing us to some fun, interesting characters and this second book was just as good! This story is about Cal's sister, Sierra and what brings her to the Crossing. Right away, I found her to be an engaging character and wanted to know more about her. Her story is one that will have you rooting for her in no time and hoping for her happily-ever-after - both romance-wise and just life-wise. She of course ends up finding romance and that is just a sweet story as it progresses. I loved the interactions she has with Conrad, otherwise known as Connie. They are just sweet together. And then there's Molly, the energetic puppy that Sierra rescues - she actually reads to her...a girl after my own heart! But, this story isn't just about the romance. 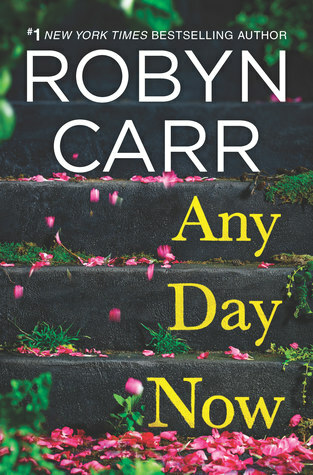 Robyn Carr tackles a rather serious subject in this book - that of recovery and I liked the way the did it. Sierra has just completed rehab and is hoping to restart her life. She takes her sobriety seriously and still leans on her old sponsor until she gets a new one - and can I just say how much I loved Moody? She also made sure to find out where the meetings are and when they are a priority when she gets to the Crossing. All this is done so seamlessly, so naturally to fit both the character of Sierra and the storyline - there's no preaching, no harping - it's just a natural fit, but yet, such an honest look at how it can change one's life. I also loved getting to know more about Sully in this book. If you've read the previous book in this series, What We Find, you first met him there. But, if you haven't read that book yet, no worries. He's the owner of the Crossing and has quite a story of his own. I enjoyed the bond that develops between him and Sierra. There are some other characters we also get to meet and their stories are just as charming and I hope we continue to get to follow them as the series goes on. I really like the way this series is progressing and can't wait to see what comes next. As I was reading and we kept meeting new people, I kept wondering if perhaps they would be the focus of the next book? Maybe yes or maybe it will be someone we haven't met yet...who knows...all I know is that I will be reading it either way! Sullivan's Crossing is the perfect escape from the everyday craziness of life! My thoughts: This is the first stand-alone book I've read by Caroline Mitchell and can I just say...WOW! 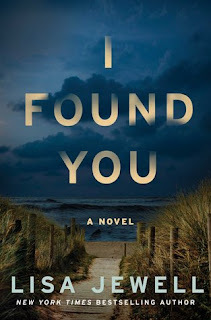 This book had me all twisted and on the edge of my seat...it was an intense read from the get-go, with a completely unique premise and one heck of an ending that I did not see coming! This is such a weird, twisty book - the characters pull you in and you find that you cannot walk away from them until you find out what happens to them. They are engaging, though definitely not completely likeable, at least not Solomon, but still, you need to find out what is the ultimate motivator to them. Rebecca is so unlike the typical girl in/from an abusive relationship - and yet, there is something quite unsettling about her. This cat and mouse game that goes on will keep you glued to this book. It's a sick game that Solomon puts Rebecca through and the way the story is narrated makes it all the more chilling. We also get glimpses into the past every once in a while to get a more full picture - adding more depth to the characters and the overall story. This book is full of suspense and just when you think you have it all figured out - think again! It is filled with tension from start to finish, and creepy characters that stay with you long after you finish. This is one psychological thriller I can't recommend enough! Audio thoughts: This was such a creepy book to listen to and I thought Steve West and Elizabeth Knowelden did such a great job with the audio production. Steve in particular, I felt, was convincingly threatening and evil as the voice of Solomon. I think in this case it really worked to have both a male and female narrator - it wouldn't have worked to have one person do all the voices. 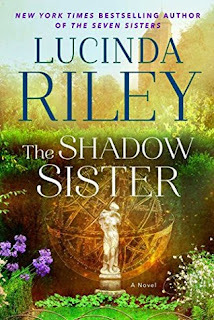 My thoughts: I am a big fan of Lucinda Riley's books and this series in particular. I keep saying that with each book, I find a new favorite...but I don't know, this one really might be it! Though it could be that I happened to read it just after returning from a trip to London and this one happens to be set there and it features Beatrix Potter - one of my favorites! Either way, this series is so uniquely written and the story so fantastically plotted that I just loved it and cannot wait until the next one comes out. I've been waiting to hear Star's story since we first met her in the first book, The Seven Sisters. Oh how she needed to step out of her sister's shadow and find herself and given Pa's last gift to each of the sisters' she is given that much needed push to do so. There were so many times, though, that I wasn't sure if she actually would. This story is such an emotional journey, not only for Star, but also for Flora. I found myself so invested in both these characters - each time the story would switch from one to the other, I felt a bit sad. While I wanted to know more about each, I wanted to stay with the one we were just with - if that makes sense. The way this story is crafted, taking us back and forth between the past and the present, and ultimately bringing us to the origin of the sisters is almost magical as it never ends up being quite what you expect it to be. I also love that these stories are almost set up to be happening in a parallel time-frame - they all start off happening at the same starting point and then move from there. At times, events from the previous books occur in the current book - this takes some serious plotting on Lucinda's side - and I love it!!! To tie in these books and know where you're heading - I can't imagine all the work that goes into that. I also love that we are not given the whole story - there is still a bit of a mystery left and I think that is not going to be solved until the very last book. Yes, we are given little clues here and there as to who the next book will be about, but there's also some other clues that have been dropped that I think will come together in that final book. This is definitely going to be a series that I will be rereading once I read the whole thing. I've been listening to it on audio, but also buying the hardcover books as they come out - aren't the covers just beautiful? I want those books on my shelf - I love looking at them, glancing at the covers and reminiscing about the stories. Do you ever do that? Just look at a cover and think about a character or the story itself? 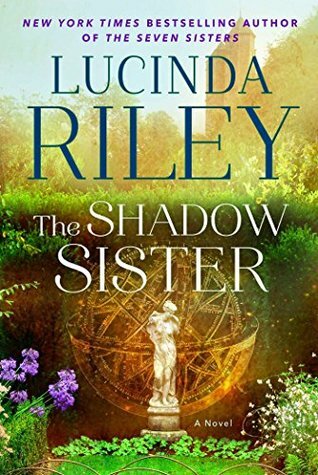 Lucinda Riley, you are a master storyteller and it shows in this series. I cannot wait to see where you go next, who's story you give us. I've loved each one so far and know this is without a doubt my favorite series to date! And, for those who haven't heard, Lucinda Riley signed a deal with a Hollywood production company for a multi-season TV series of 'The Seven Sisters' - how awesome is that!!! Audio thoughts: Having made the decision to listen to this series on audio, I've come across some wonderful, new-to-me narrators so far. Jessica Preddy is another new-to-me narrator and I thought she did a fantastic job with this audio production. I felt she really did a great job voicing Star's character and did well with the other characters as well. So far, there have been different narrators for all three books, so I will be curious to see if that is the case for the whole series. Usually I like consistency, but as this series is a bit different, having different narrators makes sense. 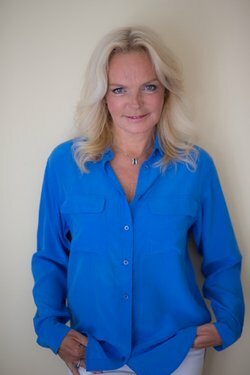 Lucinda Riley is the #1 internationally bestselling author of sixteen novels, including The Seven Sisters and The Storm Sister. Her books have sold more than eight million copies in thirty four languages.